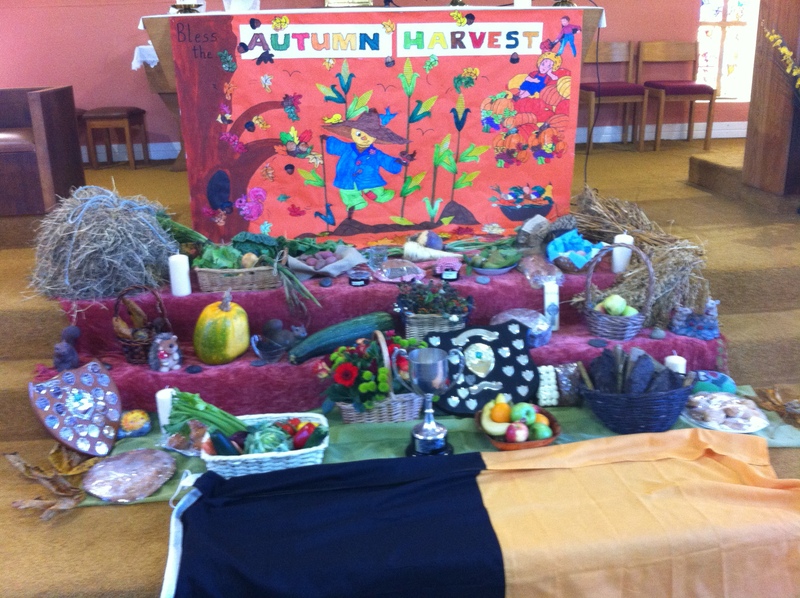 The 2013 Harvest Mass will be celebrated in St Benedict’s Church, Coolmeen on Saturday 12 October at 6.45pm. This is an opportunity for the parish community of Coolmeen-Cranny to celebrate and thank God for the blessings we have received during 2013. We thank the Lord for the couples who celebrated the sacrament of marriage, the children who were baptised and those who received the sacraments of First Holy Communion and Confirmation. We also thank the Lord for the fruits of the earth: fruit, vegetables, hay, silage, turf and so much else. We also celebrate our achievements in sport, our festival and so many other community events. Posted on September 26, 2013, in Uncategorized. Bookmark the permalink. Comments Off on Harvest Mass.